Do you love being outside? If you do then you should look into these outdoor leisure activities in MA. From bird watching to boating to swimming we have it all. No matter what you are looking to do outdoors you can find it in our detailed list of the best MA outdoor leisure activities. Are you looking for a high thrill adventure? Go water tubing while you are in MA. 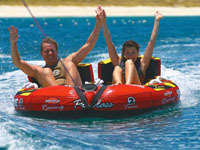 We have a complete guide to the best places to go water tubing when you are in Massachusetts. So what are you waiting for?